Amber was born and raised in Oklahoma in a family full of insurance professionals, joining the crew herself in 2002. She has a bachelor’s degree in business management and has completed many company and insurance specific trainings over the years. 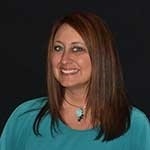 Amber joined the RCI Team in 2010 and manages the personal lines department. When not at the office, Amber spends her time with her daughter, Lexi who is a competitive gymnast. Amber attends Cedar Point Church and enjoys spending time with her family and friends. Amber and Lexi spend time camping, swimming and fishing during summer and enjoy travelling anywhere, anytime. Favorite food: Mexican, without a doubt!